Home Gaming Industry What are the best sports trivia games online? Are you the master of sports trivia games? Do you think you can take all challengers and come out on top? If you think you’re a pro at it when it comes to sports and players, maybe you should put your money where your mouth is and check out our list of the best sports trivia quiz apps and multiplayer trivia games online. Trivia Quest Sports will test your sports knowledge on topics from the World Cup to the Olympics, from cricket to football. There are a lot of original questions, each with one possible solution. 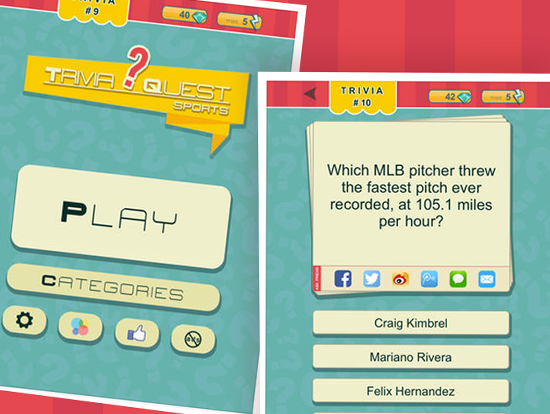 New trivia is added timely and you can challenge your friends by sending a message on phone or on social media. There’s no need to buy anything but there are in-app purchases. Some of the questions come in the form of a photo, and some are just text. How many points can you get? The app is compatible with Game Center. Soccer Quiz – Guess the Famous Football Player! Soccer is the world’s most popular sport. But, does that necessarily mean that most of the world really know about soccer, the stars of the sport or its history? 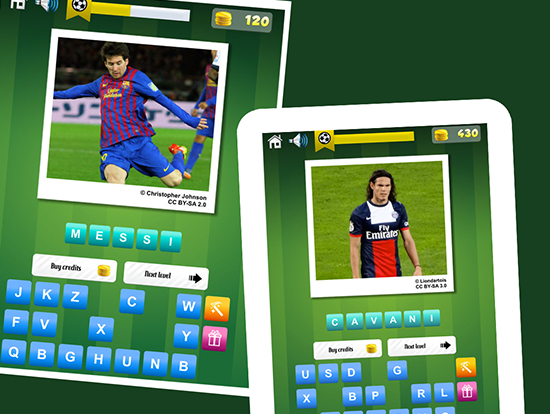 If you think that your soccer trivia skills are top notch then check out this app. What are you waiting for? download the app for free and begin answering questions quickly. There are plenty of levels, regular updates, users can compare their scores with others from around the world, play alone or with friends and more. This game might be easy, but you will surely score a “goal” by adding this app to your smartphone. There are in-app purchases for credits. 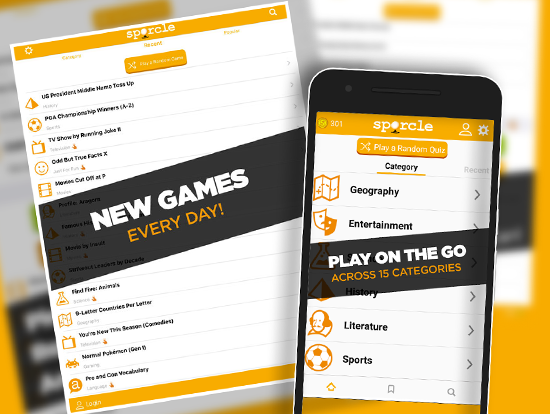 If you are looking for new quizzed every day then go for Sporcle – a paid trivia app. This one is a general trivia app with topics ranging from History to Entertainment to Sports. Do you know all the Pixar movies? How about the names of the U.S. Presidents? No matter what your interests are, you’ll find hours of fun with this app while you give your brain some exercise. Now there’s also a “Try Again” button on every quiz page so you don’t have to go all day knowing you forgot Rhode Island on the U.S. states quiz. 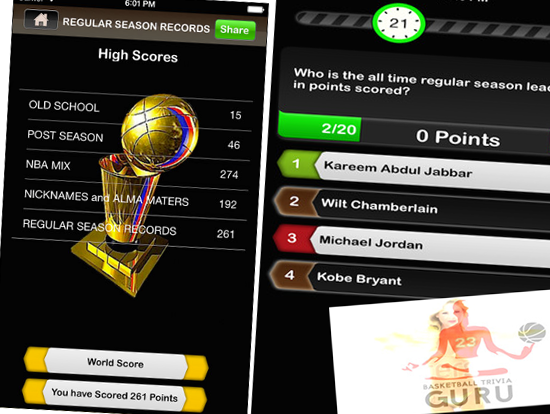 Basketball Trivia GURU is designed for an iPhone and iPad filled with Pro Ball trivia for eager b-ball fans. Difficult questions have more points, and the swiftly you answer, the more points you will earn. Game Center allows you to check your ranking and score, you can also dare your friends and family on social media, and you can go up against the Master to see if you’re an actual Basketball Guru. The live question bank is improvised for accuracy in real time and new questions are regularly being added. There are halftime entertainment and retro sound effects you can enjoy as you test your knowledge. Sports Quiz – Swipe It offers sports quiz questions in numerous different topics and levels of difficulty. Questions come in packs, which are organized by sport: answer questions about hockey, football, baseball, basketball, and more. The app is easy to use. Simply tap the Play button, answer the questions, and swipe to go to the next question. The age limit for the game is 12 and above, the best part is you don’t need an internet connection to play. Right away you get more than 30 questions to answer, and then you’ll have to buy more packs. If you’re looking for engaging sports trivia games development services, look no further than Juego Studio. Get in touch with us today!